The weekend is almost here. You’ve got this. I’ve got this. We’ve got this. Before Friday rolls to an end, here’s another installment in Worth Reading, our weekly guide to some of the best writing about games happening on this ol’ Internet. As further evidenced by Everybody’s Gone to the Rapture composer Jessica Curry’s blog post today, making things is hard, and it’s difficult to talk about those challenges. The two essays I’m highlighting below, one of which is from 2014, are about the risks of success. In Anna Anthropy’s case, her most renowned, dys4ia, won’t leave her alone, despite efforts to move on. 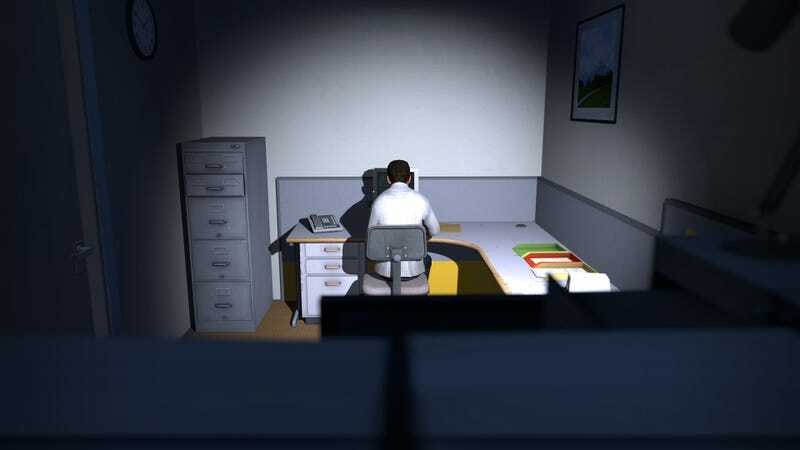 In Davey Wreden’s case, the financial and critical success of The Stanley Parable prevented him from talking about how he was feeling, for fear of be mocked. Neither of these problems are exclusive to games, of course, but it’s a good reminder there are humans behind the things we enjoy every day, and they have problems, too. “Basically here’s what happened: after the launch of Stanley Parable, I became a bit depressed. Largely this is because in those months, SO much attention was directed at the game and at me personally. And while I could not even begin to put into words how utterly grateful and astonished and humbled I am by the enormous response to Stanley Parable (all of you are the reason I can now devote my life to this kind of work), those months after launch were intensely intensely stressful. Chris Bateman dug into different ways games have measured how many hours it takes to “beat” as a means of judging the value of an experience. Jordan Minor explored the strange but interesting world of people making movies with Valve’s Source Filmmaker tools. Martin Robinson interviewed Yu Suzuki about how happy he is to be working on Shenmue 3 and what the game’s reduced budget really means. Vikie Chang spoke with The Binding of Isaac’s Edmund McMillen about the anxieties of making video games and how he’s come out on the other side. Kaitlin Tremblay contemplated what Resident Evil and other horror media say about the problems of simply being human.